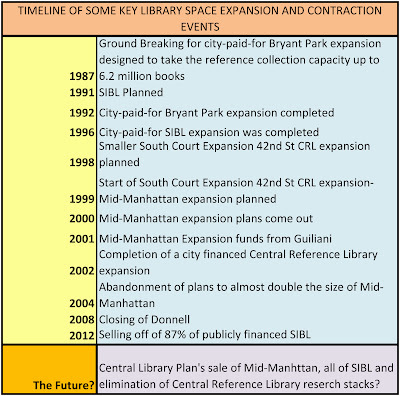 Too Little Information And Perhaps No Good Explanation: Can Anyone Say Why Methodist Hospital Should Be Expanding When Nearby LICH Is Closing? I usually like to have more information before I write an article, but maybe the fact that I have so little information to provide here is evidence that the public has far too little information about some significant and very big decisions that are being made concerning development in the historic brownstone neighborhoods of Cobble Hill, Brooklyn Heights and Park Slope, and, in connection therewith, the health and hospital systems serving those neighborhoods and the rest of Brooklyn . . .
. . . 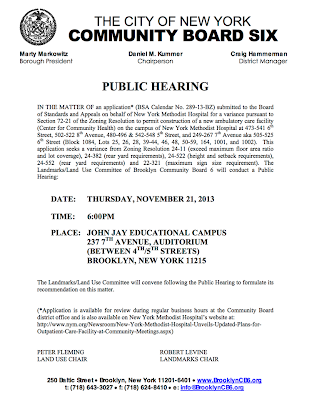 There is a public hearing scheduled before Brooklyn’s Community Board 6 for 6:00 PM, this coming Thursday, November 21st (John Jay High School, 237 7th Avenue, Brooklyn, NY). Will the public be equipped with the information it needs to deal with it? 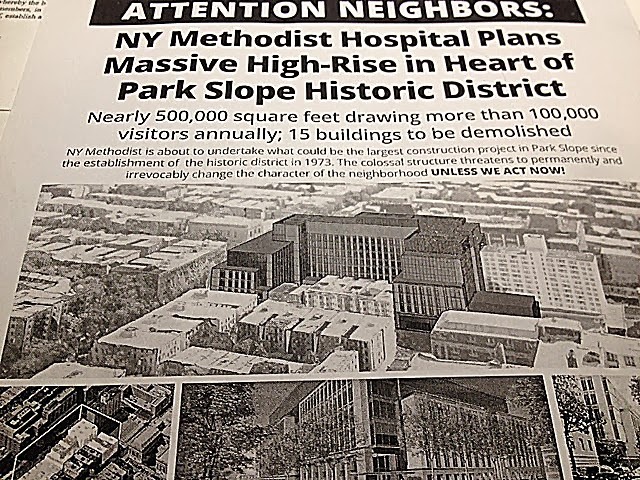 The hearing is about the proposed 500,000 square foot expansion of Methodist Hospital in Park Slope, an expansion that will apparently increase the previously reported size of the hospital’s physical plant by about 60%. That’s ostensibly all that the hearing is about, but mightn’t it really be about a lot more? 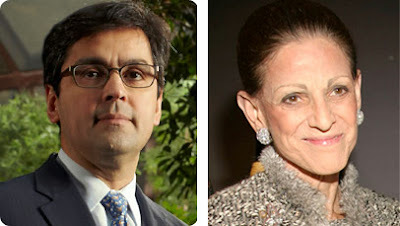 . . .
. . . At the same time very significant expenditures will be directed into this Methodist expansion, state health department officials have been involved with the intricacies of shutting down nearby Long Island College Hospital (LICH) in Cobble Hill where it borders Brooklyn Heights. Don’t let anyone tell you this isn’t a public spending issue: In the end it is all paid for and financed through the insurance and government reimbursement rates for which we all pay. 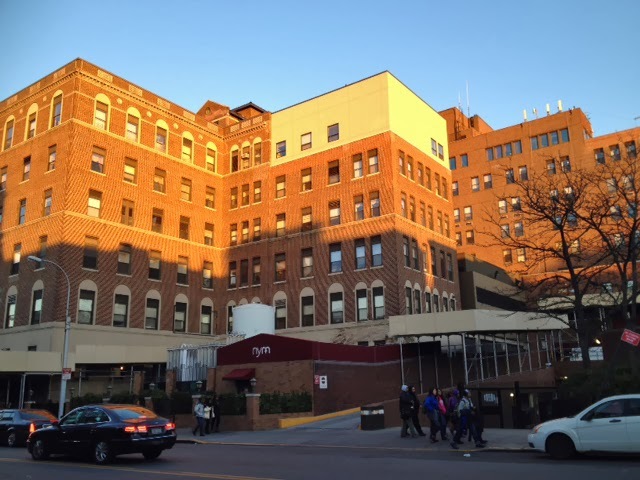 In addition to LICH, another nearby hospital, Interfaith Hospital, providing services to Bedford-Stuyvesant, Crown Heights and Brownsville, is under threat. 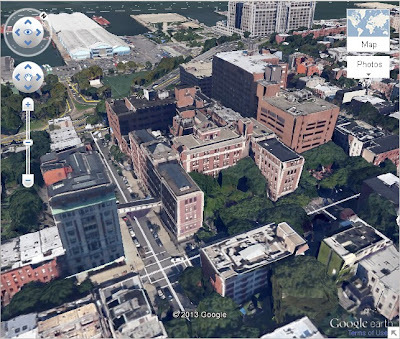 With its dwindling patient population, the huge red brick building in Cobble Hill stands on the border of Brooklyn Heights, with sweeping views of the Manhattan skyline that make it more valuable as a real estate development site than as a medical center. What else was happening in those intervening five years? Methodist was working on its plans for its expansion about two and half miles away. 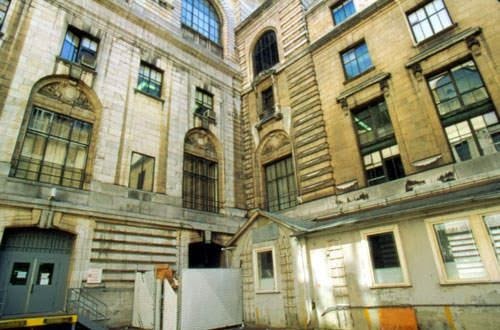 He cited St. Vincent’s Hospital Manhattan, which has threatened to close if it is not given permission to move the hospital so that some of its landmarked property can be redeveloped into luxury condominiums. “What’s St. Vincent’s except a real estate strategy?” Mr. Brezenoff said. 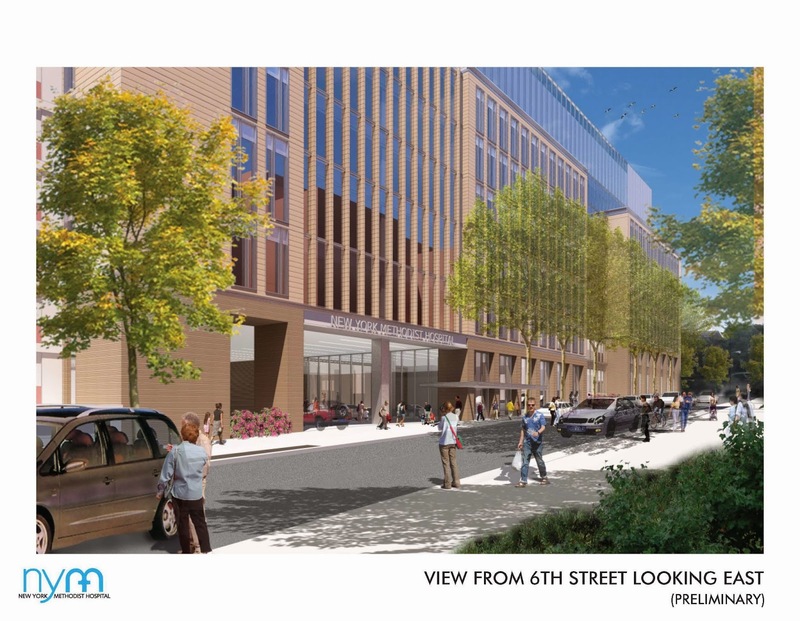 Indeed, in the end, with administrator’s eyes on that St. Vincent’s “real estate strategy” what survived at the end of the day was a real estate deal for a developer as St. Vincent’s hospital itself went bankrupt. 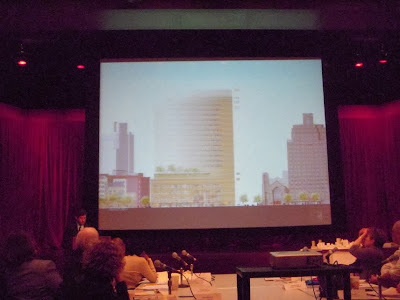 See: Tuesday, December 13, 2011, Tough Luck: Heads the Developer Wins, Tails the Public Loses. . Unprincipled Upzoning for Rudin Luxury Apartments at Former St. Vincent’s Site. When stripped down, St. Vincent’s “real estate strategy” referred to by Mr. Brezenoff essentially amounted to the use of St. Vincent’s special status as a public institution providing “charitable” public benefit to sell off a portion of the Greenwich Village Historical District so as to build at greater density than would have otherwise been permitted. Property the hospital was divesting itself of was to become residential development. Some of that residential development involved converting existing health facilities and some was new construction at density greater than normally permitted in the historic district. 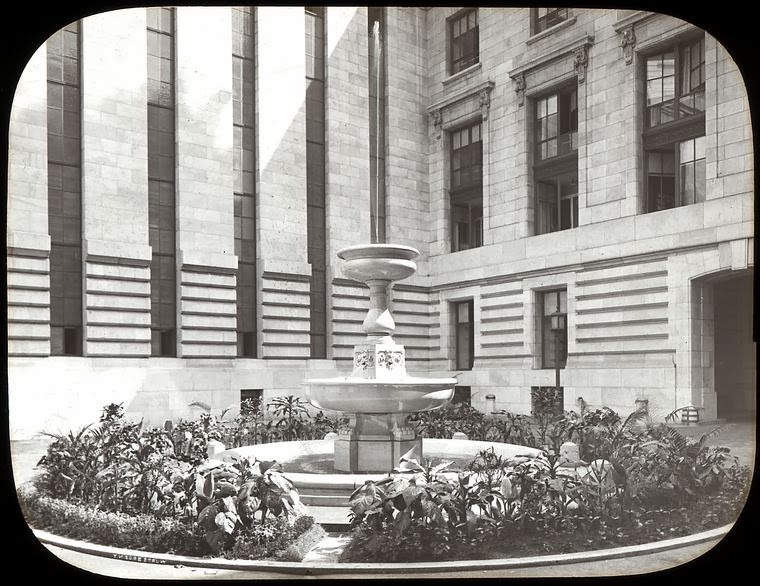 At the same time, entirely new facilities for the St. Vincent’s hospital were to be built where a historic building was being taken down. The new hospital building was going to be enormous and tower over the historic district. It was all a bit of a real estate shell game. 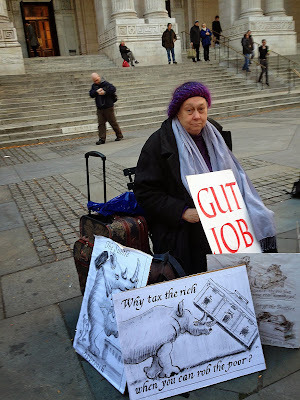 Those who may have been motivated by the real estate profits from the switcheroos and property put into play ultimately got what they wanted, but those charged with the job of continuing to provide the public with health care services failed. There were many confusing moving parts and that failure was probably not something that most bystanders would have thought to predict before it happened, but it did. A developer slide showing the proposed new St. Vincent's tower with a ghostliness that disguised how it wold tower over the historic district. • Meanwhile other buildings in a historic neighborhood (though in this case not yet themselves historically designated) will be leveled . . .
• . . . so that new hospital facilities can be built that tower over a historic district and recalibrate its sense of scale. 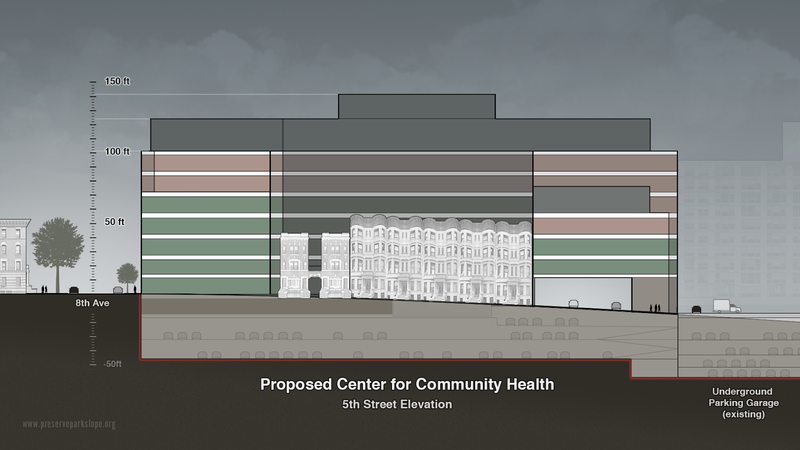 In this case will the new medical facility (unlike St. Vincent’s) actually be built and will it be a success? That depends in large part on whether the health planning that underlies these ambitions is any good. 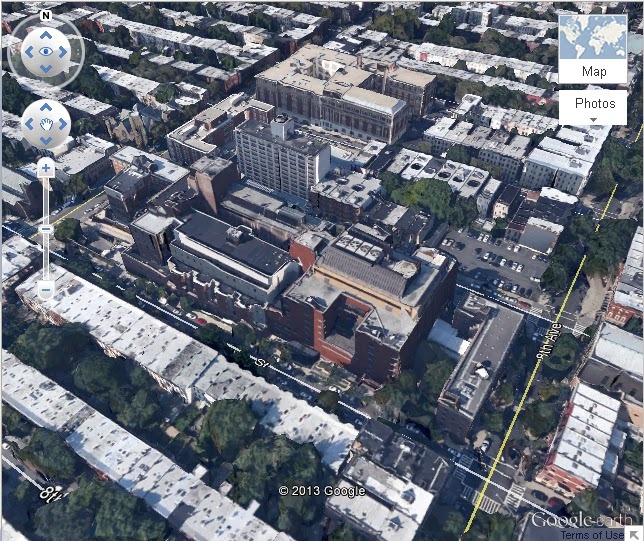 If good planning is shunted aside by those led by real estate motivations, like St. Vincent’s, that is far from assured. Is the Methodist Expansion Really Needed? 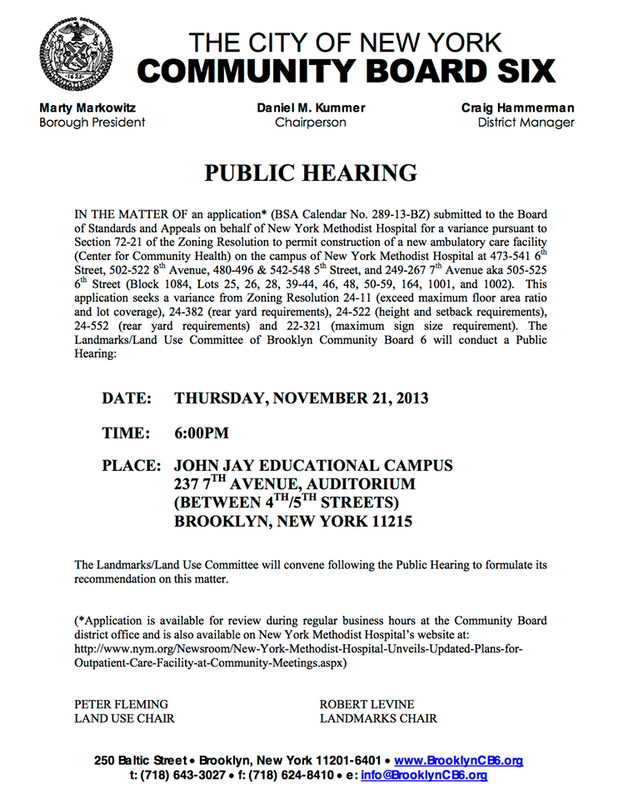 The public’s worry in this regard should be accentuated by the fact that Thursday’s hearing before Community Board 6 is for a real estate variance to let the Methodist real estate plan proceed and it is being requested to be put in place before the New York State Department of Health has issued a “Certificate of Need” for the expansion, and even before an application has been submitted that frames and defines what this project's developer might argue that need is. Why? 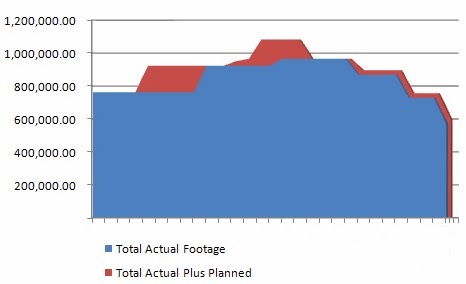 Meanwhile, events that likely affect such planning are unfolding without any planning the public can perceive. 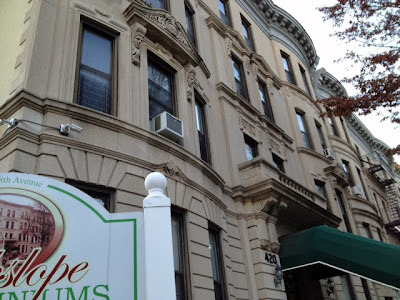 For instance, after the fact, wouldn’t a sale of all of LICH’s properties make the issuance of a certificate of need for Methodist a tad more credible? But, conversely, should LICH be shut down before it is decided it makes sense for Methodist to expand? Build and expand the Methodist medical campus at great expense at the same time other health facilities are being demolished? No articles in the press have been covering this, but Brooklynites seizing upon the opportunity to comment on an article about the Methodist expansion in the Brooklyn Paper saw the connection immediately and spontaneously debated it at length. The conservative economic approach to creating additional value normally involves building upon existing resources rather than demolishing and starting again from scratch. Nevertheless, it is not necessarily an apples to apples comparison. With new technologies and surgeries that are more minimally invasive, there is an ongoing shift these days to ambulatory care not requiring hospital beds. Methodist is reportedly not proposing to add additional beds in the course of its huge expansion, but LICH has many beds. Methodist may actually be increasing the amount of space devoted to beds so as to have more private or semi-private rooms, while not actually increasing the number of beds (this is not clear). 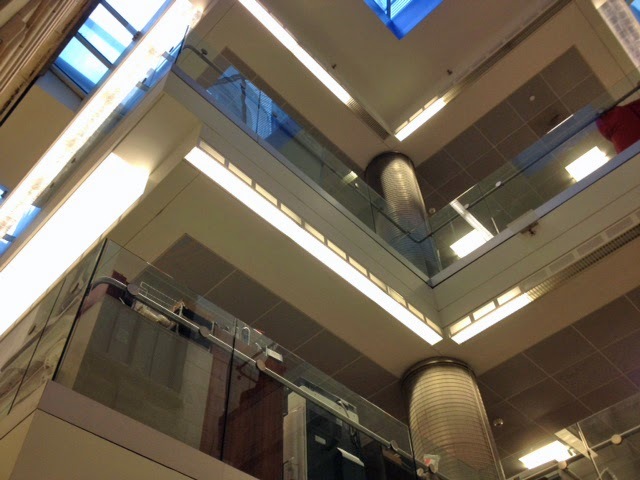 Even so, adaptive reuse of existing facilities is almost always the least expensive way to go. 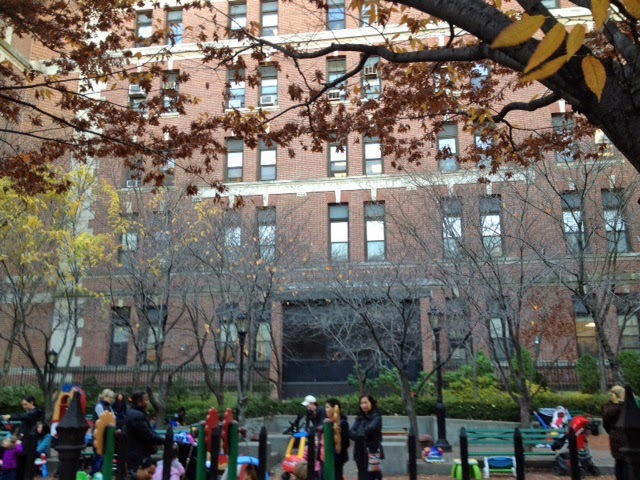 Does it make sense to consolidate the shrinking bed population into an expensive and more massive Methodist complex? 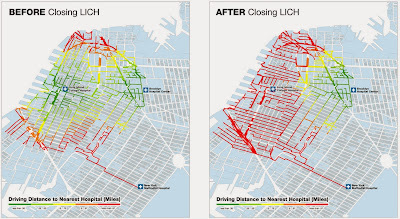 One argument that is being given for selling off LICH is that the people in the relatively well-to-do neighborhoods surrounding it are more likely to travel to the major medical complexes of Manhattan for those significant medical needs they can shop for and premeditatedly plan for, thus bypassing the services of LICH except in an emergency. Do the administrators of Methodist believe that the more super complex they seek to build in Park Slope will survive such an argument to the extent that it is true? Or do they view themselves as being an extension of the Manhattan complexes because they are part of the growing Presbyterian network that includes the original Columbia Presbyterian complex? 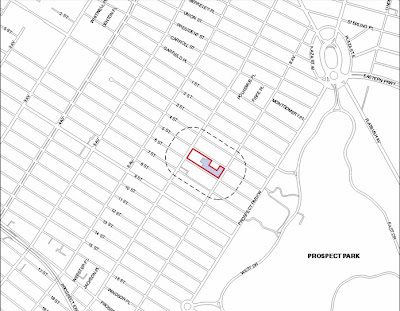 My understanding is that Methodist has historically done well being able to draw from the reasonably wealthy surrounding Parl Slope area, but would a larger, built-up Methodist start drawing the Brooklyn client population that the LICH executioners say go to Manhattan? 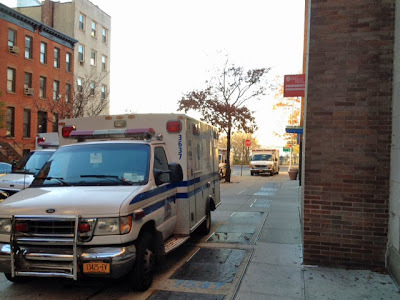 If not, Methodist, like LICH or Interfaith, is left to draw from two remaining sets of client populations, those who need emergency care and those looking for local convenience in getting the kind of care that they feel can be dependably delivered without going to a major medical center. 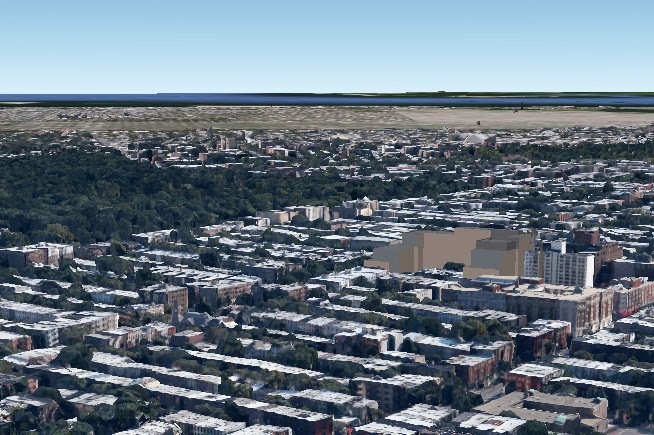 Those two client population sets don’t benefit from a consolidated Brooklyn complex; they benefit from dispersed provisions of resources. Mayor-elect Bill de Blasio has issued a report as Public Advocate on the reduction of emergency response times if LICH or Interfaith are closed (see illustrative images below). 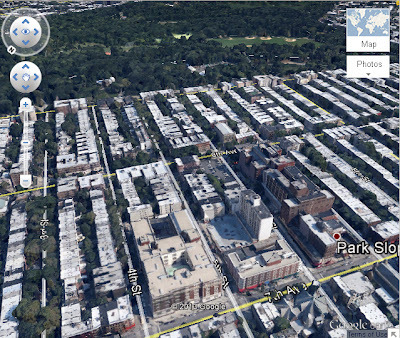 In terms of local convenience, Methodist is near a stop for the F and G trains, further from others, and difficult to get to by car. Overall, it is not that convenient. 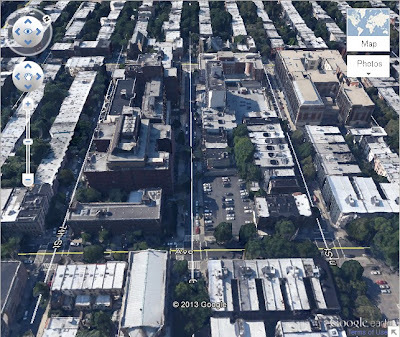 LICH is a little more accessible by public transportation, and, just off the BQE, more accessible by automobile. I have referred several times to the expense of the Methodist expansion. What is that expense? Interestingly, as the public debates these matters Methodist has produced no figures for what its expansion will cost. That concealment of such critically relevant information is an indication that they don’t want the public to know or think about the expense and that the expense itself is a strong argument against the expansion. 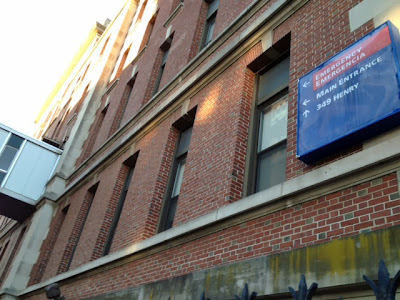 Elsewhere in the system where the Presbyterian network has submitted a Certificate of Need (go to page 41) for a similar ambulatory faculty (including maternity hospital space) to be located at 1283 York Avenue (an extension located across the street from NYP-New York Weill Cornell Center Campus facilities at 525 East 68th Street in Manhattan) its estimated cost is $830,020,454. Without making too fine a point of guessing the unfurnished Methodist cost figures, that Manhattan facility is comparably sized with a total floor area of 568,801 square feet. NYM intends to privately finance the project. What that actually means is unhelpfully vague in world where PR descriptions are plastically used to describe the Ratner/Prokhorov “Barclays” arena as privately paid for when it is financed by municipal bonds and a diversion of New York City’s tax revenue stream. In 2004 municipal bonds issued by the Dormitory Authority of the State of New York (still outstanding), financed Methodist’s adjacent 100,000 square foot expansion. It is likely that this new expansion would be similarly paid for by this low cost, taxpayer-subsidized source and certainly no enforceable promise that this would not ultimately be the case. No matter what, in the end, the insurance payments together with public reimbursements from programs like Medicaid and Medicare, mean that these directed income streams are paying for all the capital improvements in our health care system. 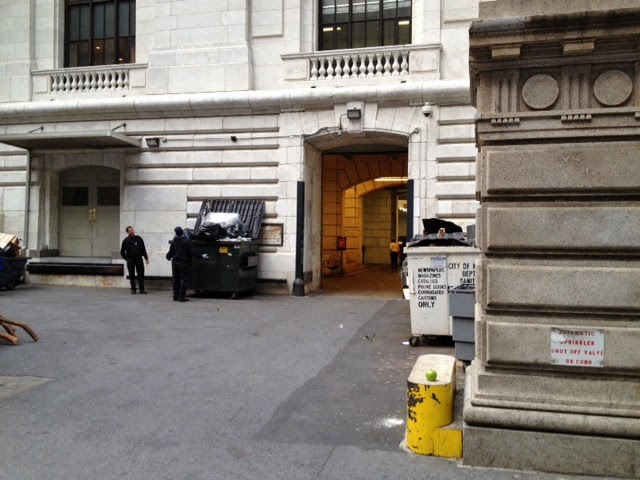 In fact, that’s why health facilities are regulated and the state Department of Health issues Certificates of Need. Without properly submitted plans at the state level New York cannot get the kind of waivers for funding it needs at the federal level. It is interesting how protestations that enterprises are “private” are being used to keep the public out of decisions that concern it. The publicly financed New York Public Library (note the word “public”) largely paid for with taxpayer dollars has also asserted that it should be able to make unimpeded decisions because it argues it is a “private” institution. What's Planned, What May Happen, A Seismic Detour? 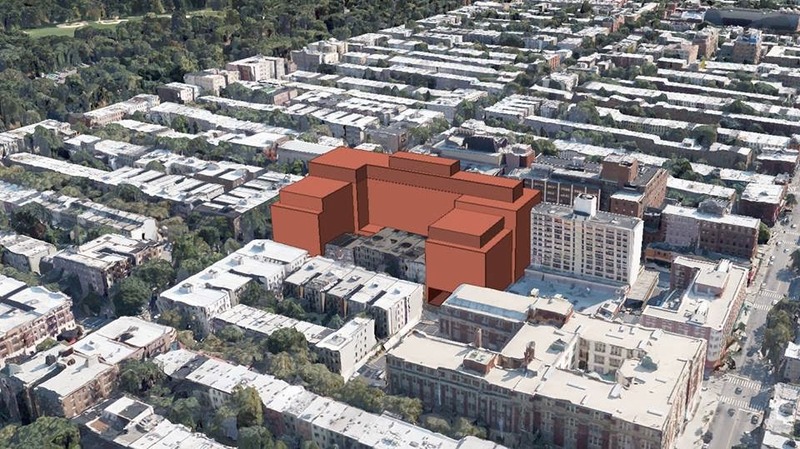 While the Methodist expansion costs may edge into the billion dollar territory and will further cost Park Slope by ripping its historic brownstone fabric, the bang-for-the-buck may be questionable. 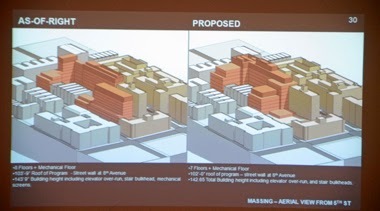 Methodist is asserting that of the 300,000 square feet of programmable space in the proposed new building, 220,000 square feet would be used to relocate and concentrate existing services offered by Methodist, and only 80,000 square feet -- just a bit more than 25% -- would be used for expanding services. See 1st attachment to the BSA application (letter from NYM Sr VP explaining programmatic need), at page 4. A net gain of only 80,000 square feet? Mightn’t it then be better to build something far smaller and cheaper, perhaps only adding 80,000 square feet of new services and leave other services where they already are? 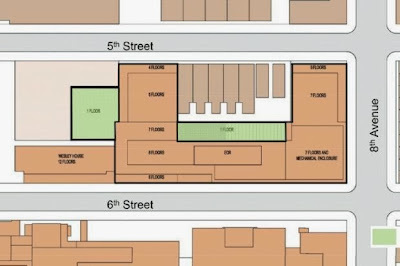 But, if the expansion occurred in the fashion Methodist is now requesting might Methodist not actually give the existing space from which it says it will relocate these functions, or might it expend to reoccupy those spaces later? Things don’t always happen as planned. 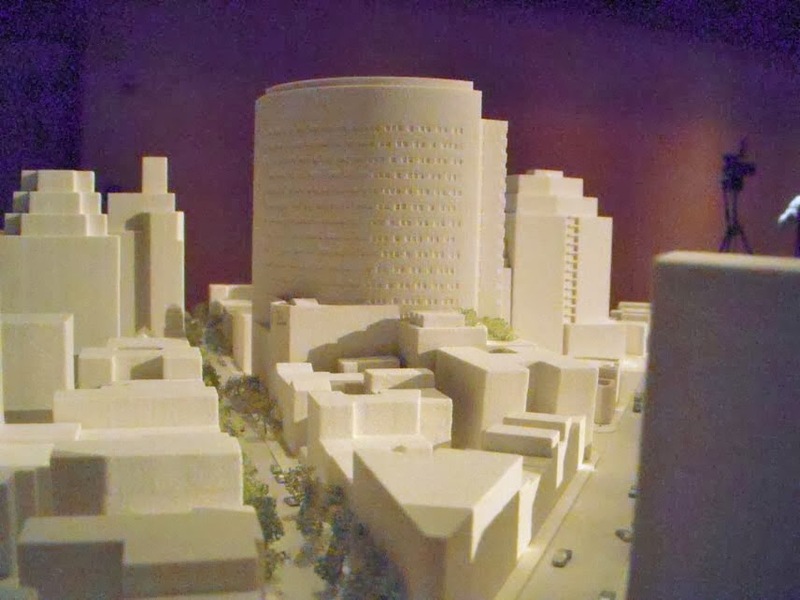 A development consultant from Washington Square Partners said that building on the parking garage would be difficult because of a seismic building code. Next, the floors and the columns of the existing garage would be demolished because the necessary seismic retrofitting is not possible and the existing columns and foundations are not adequate to support the new 10-story structure that would be constructed on this portion of the site for the Complying Development. Minimal additional excavation would be required since the depth of the existing below-grade garage is already near the required depth of the proposed building. A garage recently built for the purpose of being the foundation for a future medical facility and it was not properly designed to withstand earthquakes? Irrespective of whatever changes there have been to the New York building code with respect to potential seismic activity that seems like poor planning. 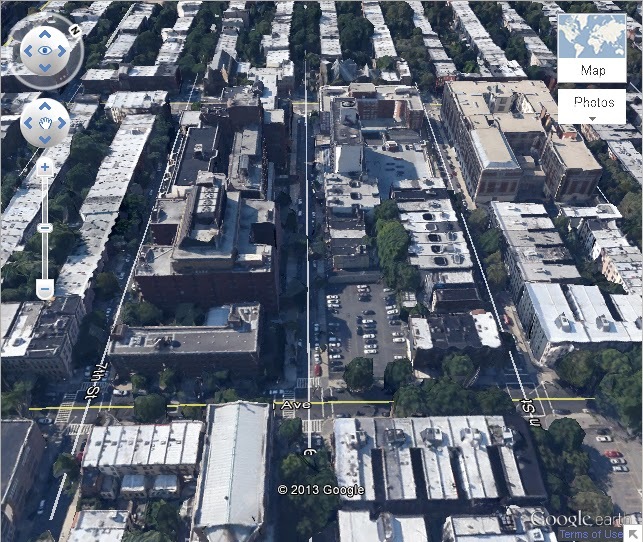 If inconvenient to build on it now would Methodist someday in the future build on this parking lot? It is my understanding that when Methodist officials have been asked why they shouldn’t take over LICH and its facilities instead of building its expansion they cite the superior management of Methodist. But if management is the sole difference then a transplant of management would seem to be the solution, unless they mean that poor management at LICH has somehow compromised the LICH real estate and other physical assets. It would seem unlikely that would really be the case. the physical plant has never been an issue, the issue is SUNY's systematic destruction of LICH via closing departments, services, etc. For more about the looting of LICH’s assets in Noticing New York articles see: Friday, February 15, 2013, Last Night’s Community Meeting To Save Long Island College Hospital- Pictures And The Big Picture and Wednesday, February 13, 2013, One-Stop Petition Shopping: Report On The Brooklyn Heights Association Annual Meeting, LICH and Libraries. 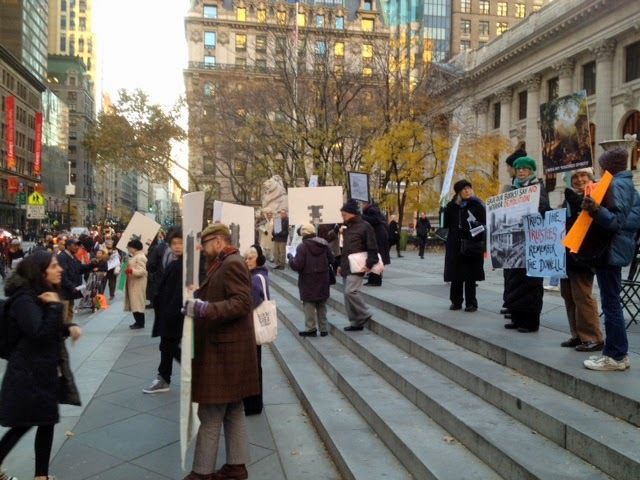 The proposition of getting rid of LICH is not just a question of getting rid of its management or its physical plant. It is a move that also gets rid of existing staff and potentially unions. Right now, in the sort of world we live in, unions provide one of the best, most stalwart defenses when a public asset like LICH is threatened when it should be preserved. Unions, not always guaranteed to behave altruistically, can also introduce friction against changes in the status quo when such changes might benefit the public. But, as in the case of conversions of public to charter schools, getting rid of unions represents one more thing that some may even have as a covert but important goal: As labor force pay scales decrease, the ability to jettison a union represents the elimination of bargained-for improvements in worker's lives. 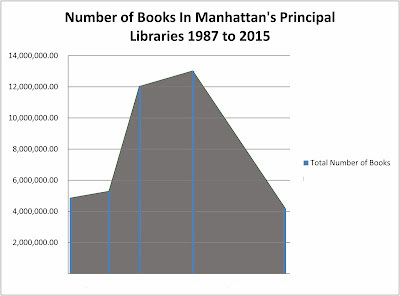 If you come to things with a Bain Capital mind set this may be favorable viewed as “creative destruction,” or it may just be another expression of opportunistic greed. The problem is that what is happening with our hospitals is already complicated enough without having also to take into account that these motivations also lurk in the mix to complicate matters further. 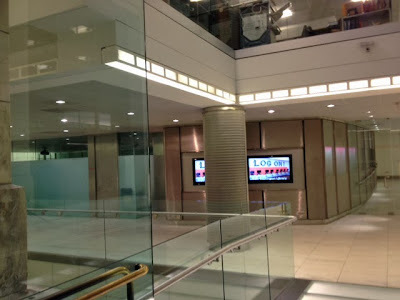 Is it really important to bring everyone to one location under one roof? 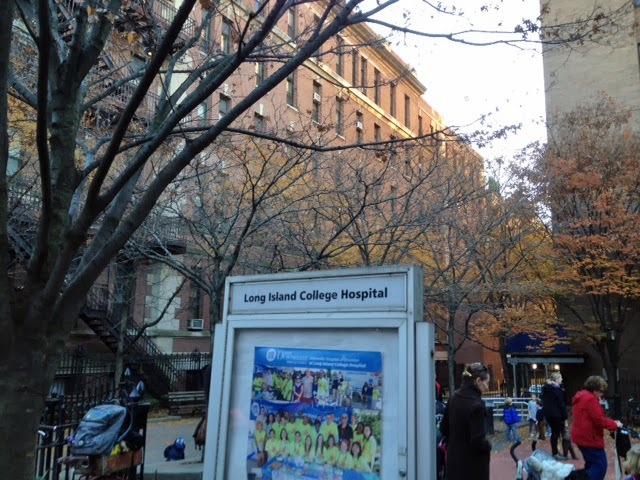 In upper Manhattan the Presbyterian runs the Allen Hospital which is about 2.9 miles north of the Columbia Presbyterian campus (with which it has integrated function), about the same distance LICH is from Methodist. 7th Avenue on left. 8th Avenue on right. 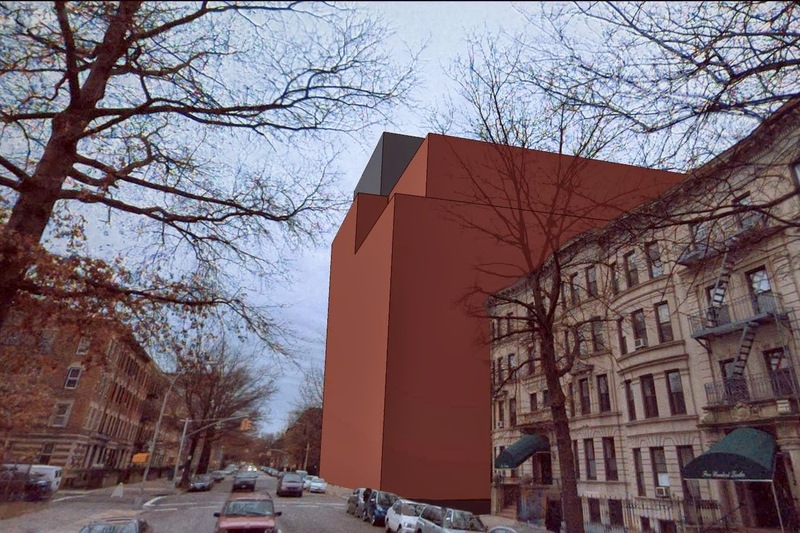 Methodist provided drawings above from which the perhaps 17-residential stroy equivalent height of the building on 7th Avenue is difficult to calculate and discern. 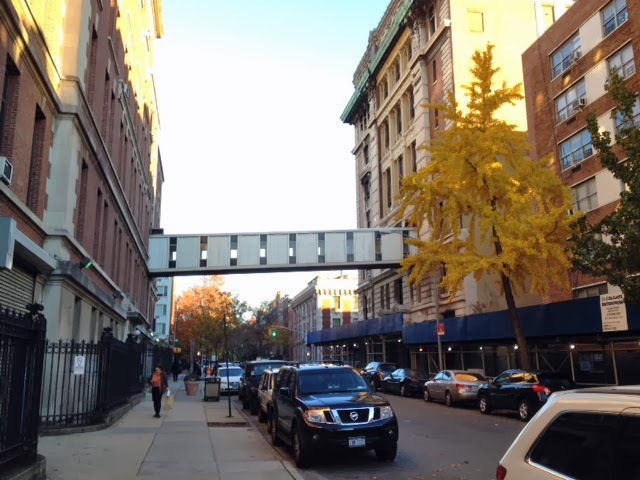 Above the reverse: 8th Avenue on left. 7th Avenue on right. 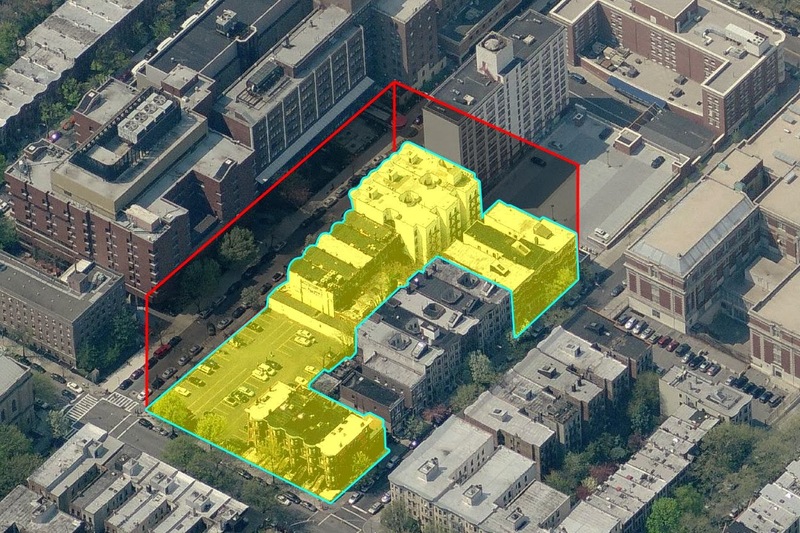 What does the scale currently proposed for Methodist mean for Park Slope? 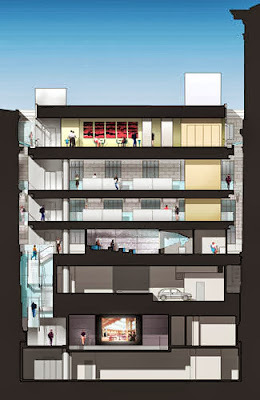 • The new building, measuring from the down slope 7th Avenue side, is approximately the equivalent of 16 or 17 conventional residential stories. 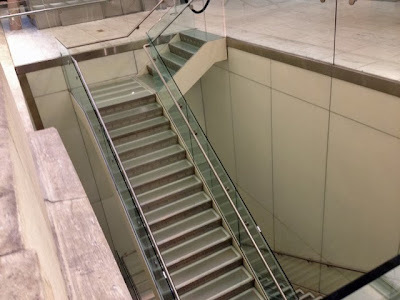 The height as measured from the up slope side is 146 feet and the slope adds about 15 or twenty feet of height to that. 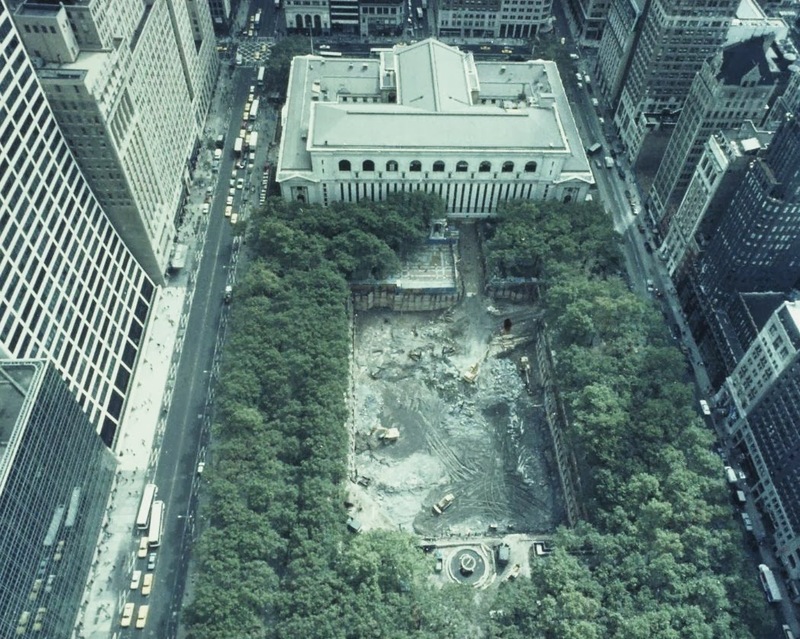 The Methodist materials seem like they were prepared to obscure that fact and make the measurements for the 7th Avenue side difficult. • The new building will likely be visible from Prospect Park. As yet, there no visual representation showing what that will look like. 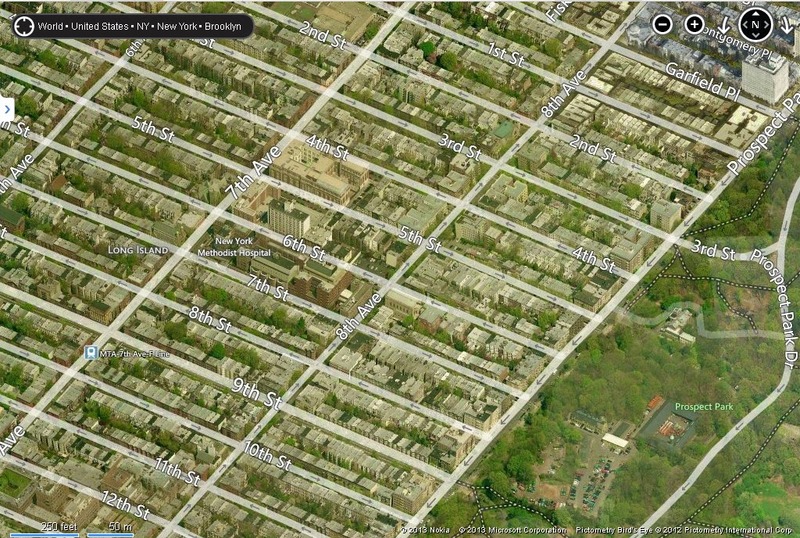 • At least fifteen Park Slope townhouses will be sacrificed. As Preserve Park Slope points out on its “Frequently Asked Questions” page, “For comparison, less than 1% of all the buildings in Park Slope rise above five stories, or about 50 feet.” Preserve Park Slope also has an online petition: Oppose the Mega-Complex Being Proposed by New York Methodist Hospital. 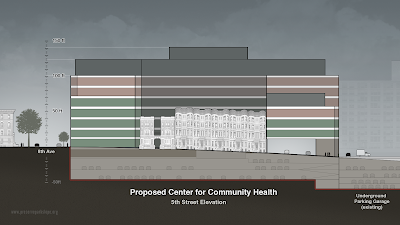 The renderings of the expansion released by Methodist show its building close up, not in the context of being three times the size of these surrounding buildings. Townhouses on 8th Avenue across the street from where new Methodist Building would stand. 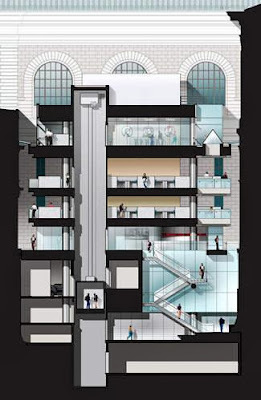 New building would eb three times as tall. 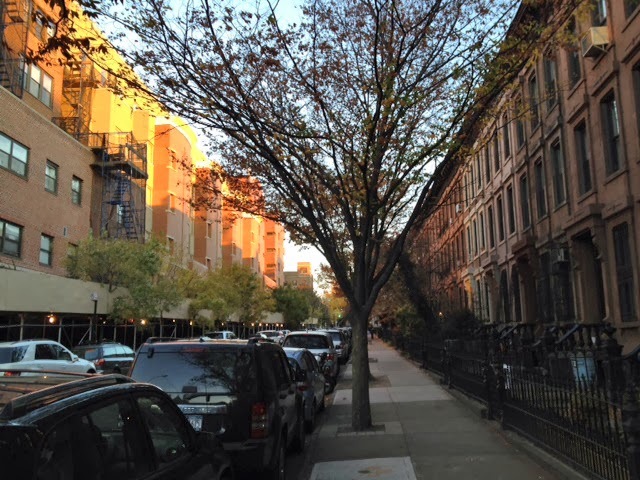 The scale at which people in Park Slope are accustomed to living happily? Any tall development comes with shadow studies. See below. 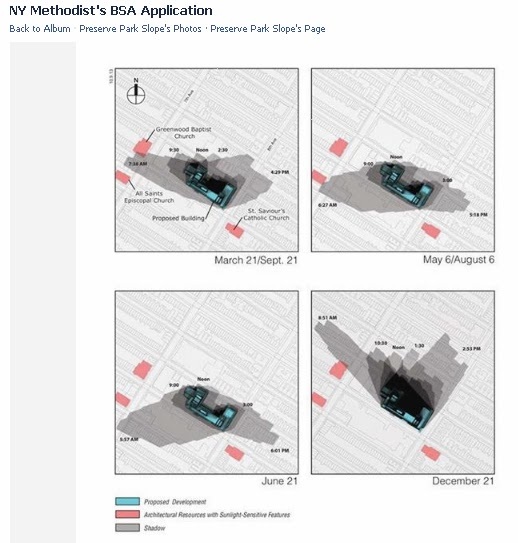 Here is a very short shadow study video animation from Preserve Park Slope: Shadow Study- Preserve Park Slope Preserve Park Slope. What might the expansion look like from Prospect Park? Still guessing exactly. Preserve Park Slope generated this image. 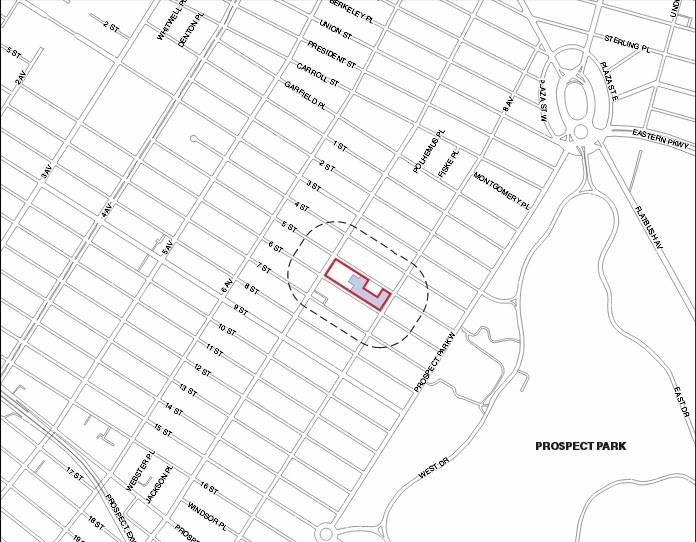 Is Methodist’s big expansion the right decision for Park Slope? 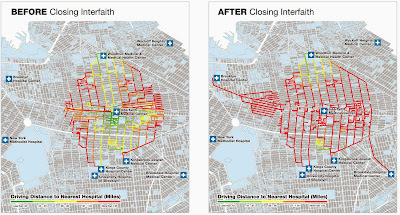 Further, is it right for Brooklyn to close down other hospitals like LICH and Interfaith at the same time? I have my suspicions that the answer is “No,” but I think that I and the rest of the public have a problem weighing in on these things at the present time because too little information has been furnished. 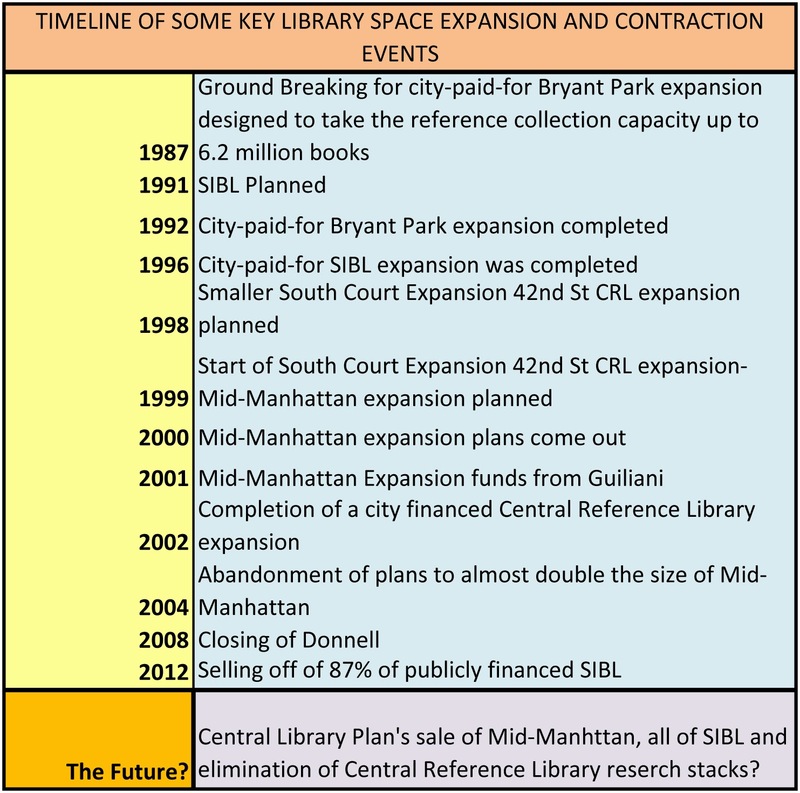 And yet hospital and state officials would proceed in closing LICH and would give the real estate approval needed to expand Methodist without such information being supplied. I have asked Methodist a number of questions, intending to make this article more informative. They have not replied. 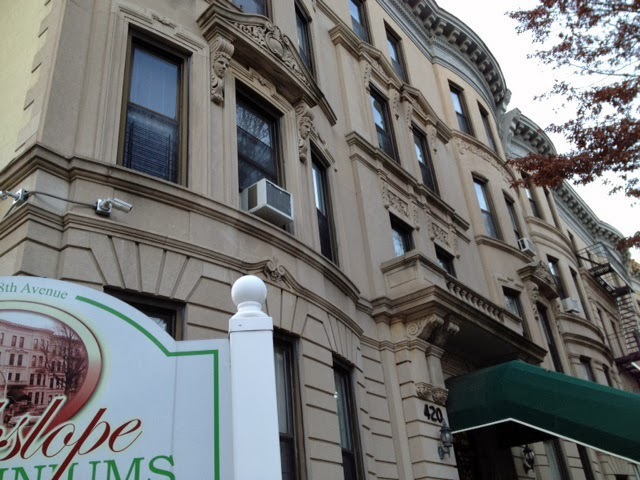 What would I suggest to Community Board 6?. 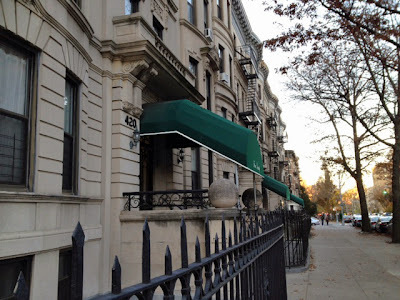 . . That it demand, at a minimum, that a Certificate of Need package be supplied before it considers what Methodist should be allowed to do with its real estate. 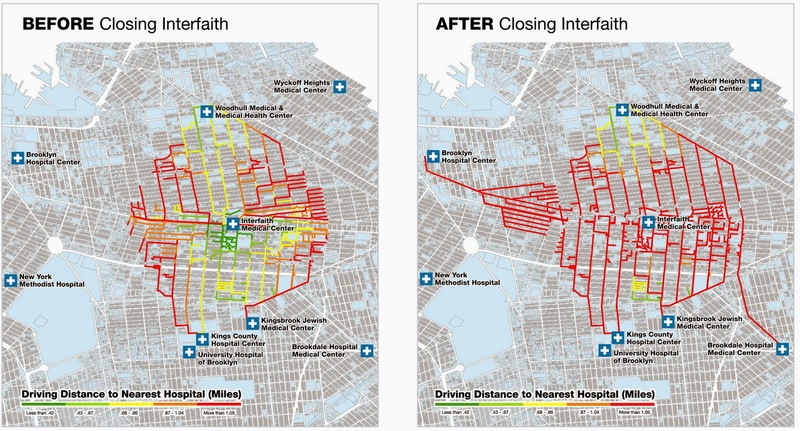 In addition, the future of LICH and Interfaith should be looked at in the context of an overall plan for Brooklyn’s hospitals. That’s not where we are at the moment. Where we are headed at the moment is the de facto implementation of what may be some pretty strange results, without having given any public consideration as to their likely lack of common sense.